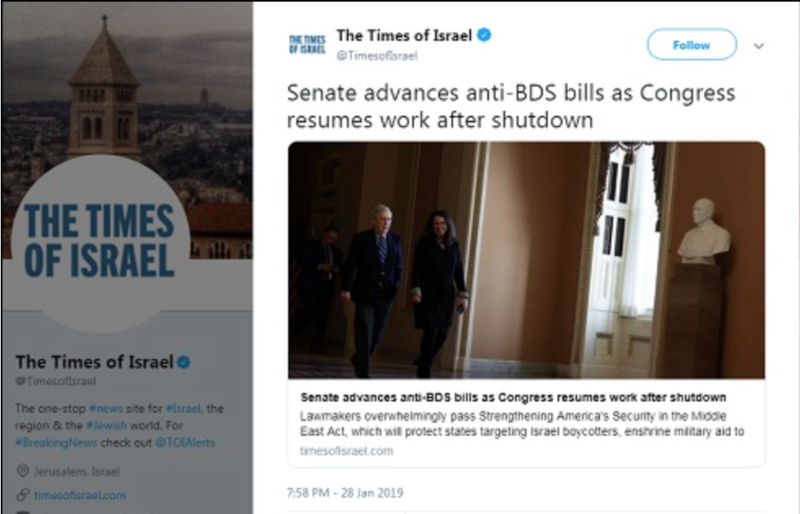 The Senate can’t agree on anything to help America but they can agree fully on making it illegal for Americans to boycott the state of Israel and giving Israel $38 billion from US taxpayers. The United States Senate overwhelmingly passed controversial legislation on Monday to curb boycotts against Israel, its first move since returning from a several-week government shutdown. The Strengthening America’s Security in the Middle East Act, known as S.1, advanced in the upper chamber by a vote of 74-19. While the Israel Anti-Boycott Act would make it illegal under federal statute to boycott the Jewish state, the Combating BDS Act would grant federal protection to the 26 states that have already passed similar laws targeting Israel boycotters. The act also incorporates a separate measure to codify into federal law an agreement for the US to provide Israel with $38 billion over 10 years in security assistance. As The Forward reported last month, the ADL said in a private memo that the anti-BDS law was blatantly unconstitutional and would create antisemitism, but they backed it anyways. 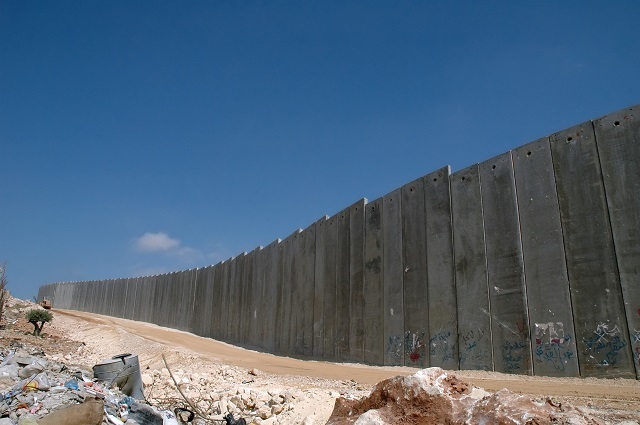 As a reminder, Trump can’t get $5 billion to secure a few sections of America’s border, but Israel can get $38 billion from US taxpayers to build up their defenses to the hilt — which includes multiple giant, nearly impenetrable walls (which they defend with deadly force). The Senate advanced legislation that would impose new sanctions on Syria, more than a month after President Donald Trump said he would withdraw American forces from the conflict there. The measure would direct the Trump administration to impose sanctions on entities that do business with the government of Syrian President Bashar al-Assad, such as selling petroleum products or aircraft parts. The government should have never been reopened.